Alisher Usmanov tops the Forbes Magazine’s 10th anniversary ranking of Russian billionaires. Usmanov is the richest man in Russia, whose fortune is estimated at $17.6 billion – he has stakes in various sectors – from metals to media and telecom. He is also the 34th richest person in the world, while Russia’s second richest man Mikhail Fridman is ranked 41st worldwide with $16.5 billion in wealth. Leonid Mikhelson was ranked third with a fortune up almost $4 billion in a year and totalling $15.4 billion. 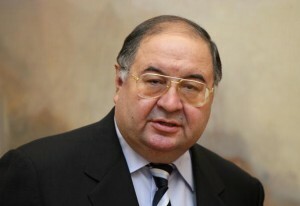 Over the ten years of the list’s history, his fortune has grown 34 times, Usmanov’s – 28 times. Last spring Usmanov sold part of his stake in Facebook at the time of the company’s IPO, pocketing $1.3 billion. Usmanov keeps the first position as Russia’s richest man for the second year in a row. Ten years ago you had to have a fortune of at least $50 million to be ranked. In 2004 the threshold was changed to $210 million.